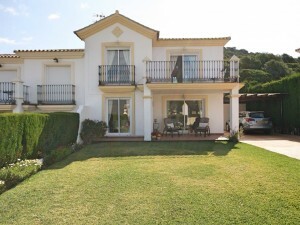 Lovely Chalet located in a quiet cul de sac in the urbanization of La Sierrezuela , on the outskirts of Fuengirola and just 10 minutes walk to the supermarkets, bars and restaurants. The house is surrounded by garden with pine trees and wide vegetation. 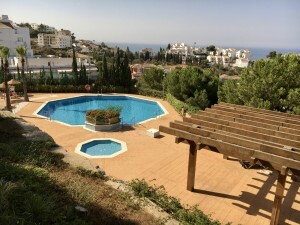 Panoramic views to the coast and mountains of Mijas. There are 2 entrances to the main floor, which consists of hall, spacious living room a fireplace and with a dining area, kitchen with pantry, 3 bedrooms , 3 bathrooms and a terrace with a barbecue and exit to the garden and swimming - pool. Semi - sótano floor consists of a bedroom, bathroom, living room and direct exit to the garage. There is also a chill out with a fireplace on the upper floor with beautiful views to the gardens and the coast.Its nice to have a rest here after sauna! 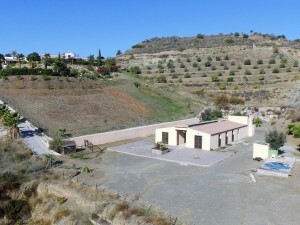 An extra separate building of this property has 2 workshops, wineries and a sauna. Very nice driveway with automatic gate and parking place for several vehicles and a covered garage as well. You will enjoy to live in this quiet and private area! THE VILLA IS SUITABLE FOR AN INVALID PERSON !